Marysia's scalloped swimsuit is made from premium Italian stretch-crepe and cut by hand in a couture factory. 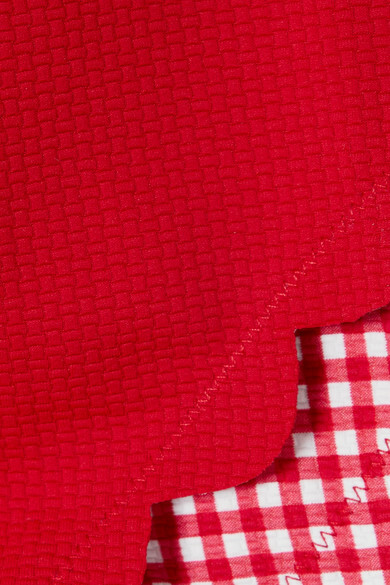 The vibrant red fabric has a flattering basketweave texture and dries quickly after dips in the sea. Even the lining is lovely because it's printed with summery gingham checks. Wear it with: GANNI Sunglasses, Tohum Bracelet, Tohum Bracelet.